Hello Everyone, For those thta are new here and don't me I'm Dare Obidi. I was brought here by lxeon a year ago and I have not been posting much lol. I thought I would share my first martial short film that I did with my friends about three months ago. I have the adrenaline to make another one some day in the future. So tell me what you guys think of it and what should be worked on to make the next short film better. I also started to get back into training a bit after going through a lot of stuff. Anyways haha, train hard and be like water. I watched the film man. Well done! I applaud your creativity, you presented a good story. Last year, I to made a Martial Arts film with my brother. Movie making is a really hard art. I've got heaps of respect for anyone who completes a filmed project. As well as being difficult, the experience of film making makes us even more learned people. Congradulations to you and your friends. Thanks for sharing! Thanks I’m glad you enjoyed the film. I would like to see the film that you and your brother made if you still have it. The only martial artist I know is Bruce Lee or Jackie Chan but I am all for broadening my horizon about films based on it. Thanks for the film. You can get lots of inspiration. 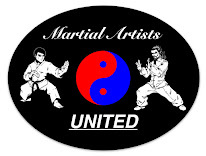 Visit Martial Arts Parkour which is the best leading academy.